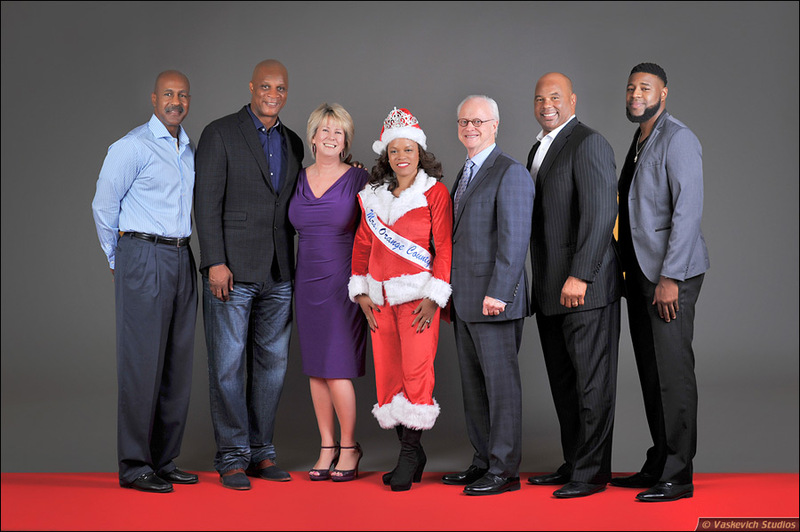 Stronger Because Of It Holiday Gala took place on Tuesday, December 15, 2015 at 6:00pm at the Aloft Hotel in Downtown Orlando (view photos here). Stronger Because Of It Holiday Gala is a celebration of resilience of those who have been transformative in the lives of others and have become stronger because of it. The event highlighted stories of the leaders among us who have experienced life altering challenges, have overcome them and are using their experience to strengthen others in our community. The purpose of the gala included but was not limited to inspirational stories to help relieve the stress of the Holidays and those who suffer from the various setbacks during the season. The event night was festive in nature with testimonials and a celebration of truth and honesty. Honored speakers Chief of Police, David Ogden and his wife Shelly are Orlando’s local leaders that make a difference had shared their story with gala honorees and other attendees. Host Nouchelle Hastings, who suffered from memory loss related to a 1999 vehicle accident, took a look back at what she had missed in music and the turn of the millennium. The celebration also highlighted, Secily Wilson who was Miss Florida 1999 and Orlando City Soccer’s second anniversary (Kay Rawlins honoree). Vaskevich Studios was an exclusive provider of video production and post production services for the event. A total of 28 Orlando honoree stories were filmed over a month period. The stories have been distributed on DVDs and via web streaming video. To view and download the pictures of Stronger Because Of It Holiday Gala 2015, click on the “View Event Photos” button. To purchase or download event pictures, click on the button above to visit the event photo gallery.